Musculoskeletal disorders affecting the bones and joints are a growing health problem. Skeletal birth defects and dysplasias often cause significant physical stigmata and medical complications. In adults, osteoporosis, chronic joint symptoms, arthritis, and fractures lead to significant morbidity. Unfortunately, our ability to effectively prevent or treat any of these skeletal diseases is still very rudimentary. Our lab uses the skeletal system as a basis for understanding how hormonal and genetic factors affect human development and disease. By using a wide spectrum of approaches, we hope to develop a broader understanding of the biology underlying skeletal development, develop new models for studying disease pathology, and devise novel therapeutic approaches for treating human skeletal disorders and bone injuries. Learn about what we do in 46 seconds! 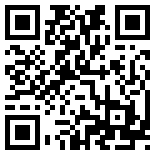 Use this QR code to link to our webpage on your mobile device. Need a QR reader? Numerous free readers are available from iTunes or the Android Marketplace.